Democrats wrestled for days about whether or how to punish Omar, arguing over whether the freshman congresswoman should be singled out, what other types of bias should be decried in the text and whether the party would tolerate dissenting views on Israel. The House ultimately passed a resolution condemning antisemitism and other bigotry with a 407-23 vote. 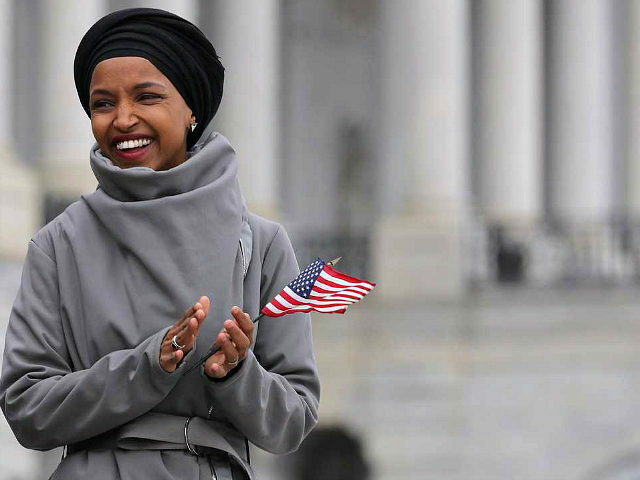 Despite Omar’s remarks, Rose contended she be removed from the powerful House Foreign Affairs Committee, which several top House Republicans, including House Minority Whip Steve Scalise (R-LA), has called for. “We have got to show her that there is a pathway for her to do the right thing, and we have to be vigilant towards that. Believe me, she understands that that’s a possibility, and nobody is taking that off the table, but we are not there yet,” said Rose. This year, Omar apologized for a 2012 tweet in which she claimed Israel had “hypnotized” the world and committed “evil doings.” The freshman congresswoman apologized last month for suggesting that the American Israel Public Affairs Committee (AIPAC) bribed Republican lawmakers into supporting the Jewish state. The smear prompted top House Democrats, including House Speaker Nancy Pelosi (D-CA) and House Foreign Relations Committee Chairman Eliot Engel (D-NY), to criticize her and demand an apology. In a strongly worded statement, Engel referred to Omar’s suggestion about dual loyalties as a “vile” insult. Next Next post: “Idiot” Rep AOC Wants To Install Solar Panels On LaGuardia Airport, Before Eliminating Plane Travel!